It’s only just now Halloween! Yes, it’s that time of the year again…scary ghosts and goblins, wicked witches, haunted houses and spooky nights! 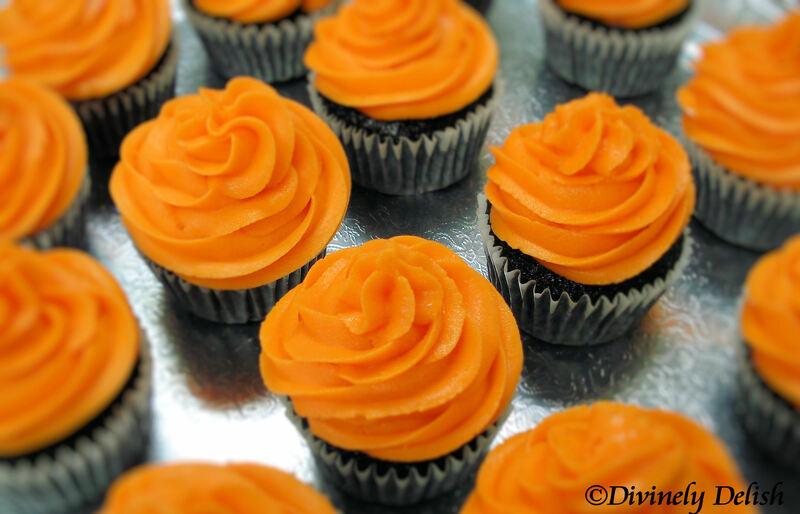 For me, it’s an occasion to make (and indulge in) these devil’s food cupcakes with orange buttercream frosting. You can’t go wrong with these. Not only do they look pretty, but they’re super yummy and incredibly moist. The frosting is actually based on the vanilla buttercream frosting from Sprinkles Cupcakes. 1) Preheat oven to 325 F. Line cupcake tins with baking cups. 2) In a large bowl whisk together dry ingredients. 3) Add coffee, oil and buttermilk and mix until combined. 4) Add eggs and vanilla and mix for another 2 minutes. 5) Divide batter among baking cups, filling each two-thirds full. Bake for 20-23 minutes, or until toothpick inserted into the centre of each comes out clean. 6) Transfer to a wire rack to cool. 1) In a mixing bowl combine butter, sugar and salt. Beat till blended. 2) Add the milk, a little at a time, and vanilla, and continue beating. 3) Add in the food colouring. Beat for an additional 3 to 5 minutes or until smooth and creamy. 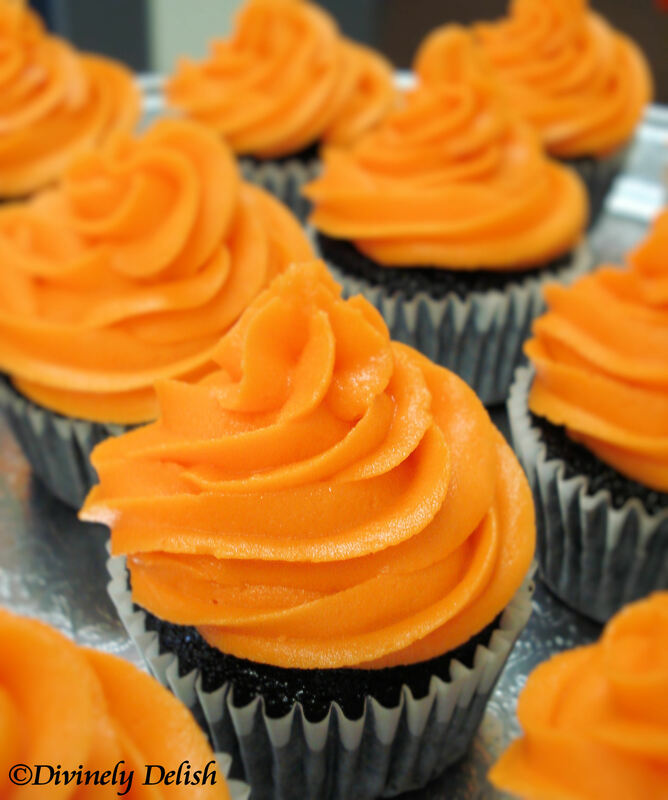 4) Decorate the cupcakes once they have completely cooled. Note: The amount of frosting is enough for 24 cupcakes, if using a decorating tip and technique as in the photos. If using just a knife to spread a thin layer of frosting on the cupcakes, I would suggest halving the amount of frosting.